Covering for a dark and weary soul. Sweet dripping over beds of salad greens. Filling lungs full of just mowed grass, sweet green air. When really she just arrived. Precious worth a long deep sip, of what she carries in on beams of moon. Place it in the window where the light illuminates her glory. Perhaps this Spring will be my favorite one of all, the best of fifty three. Then, kissed me softly on my cheek before the sad goodbye. 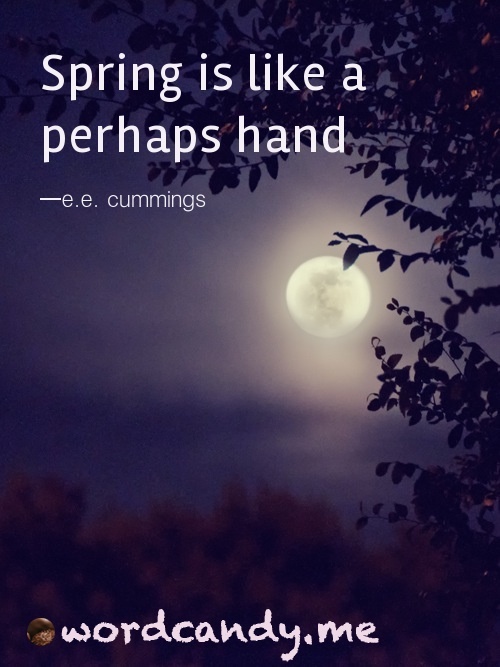 The hand of Spring has held me. Perhaps, that is all I know.